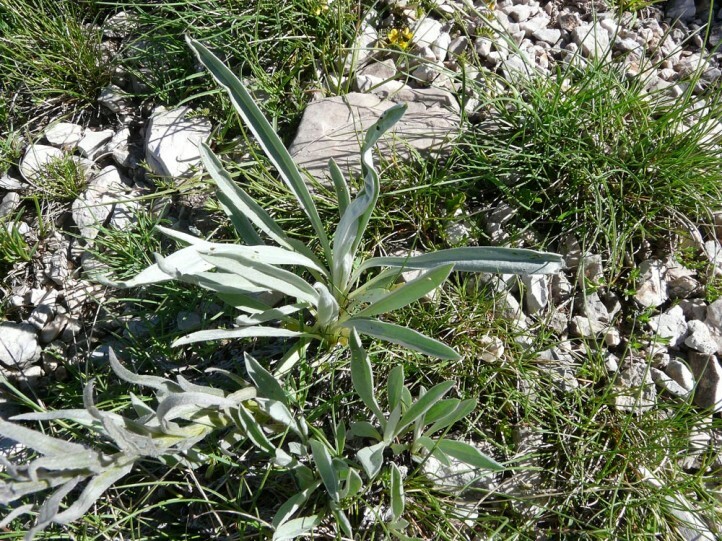 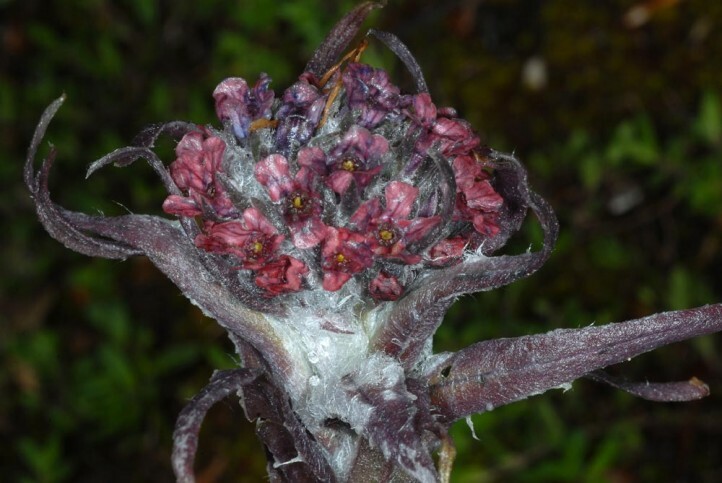 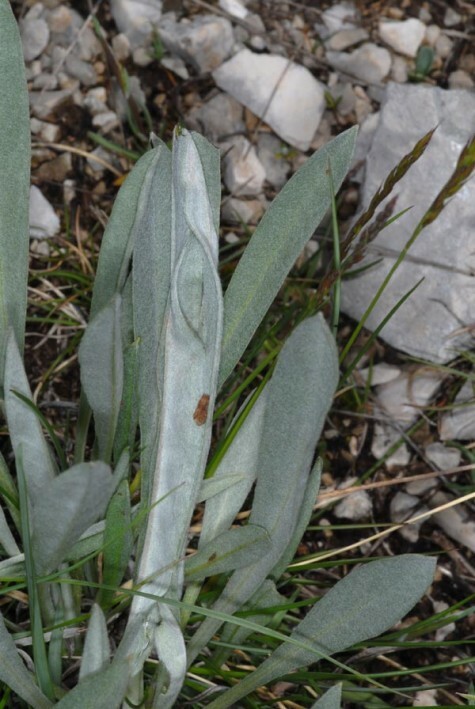 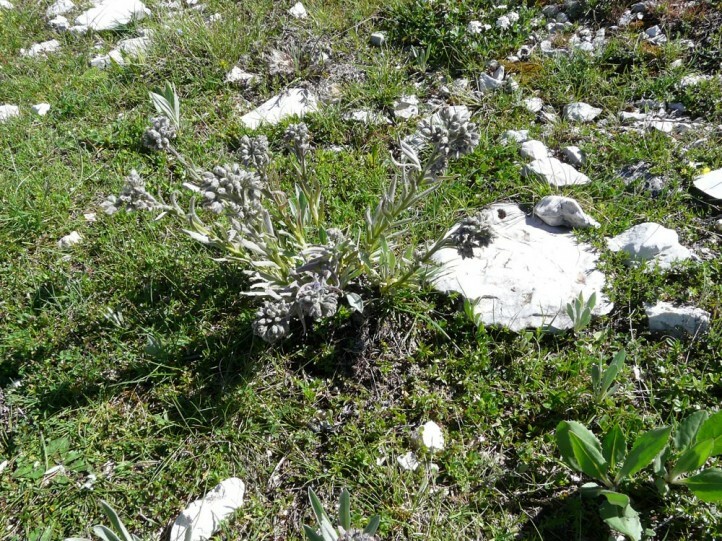 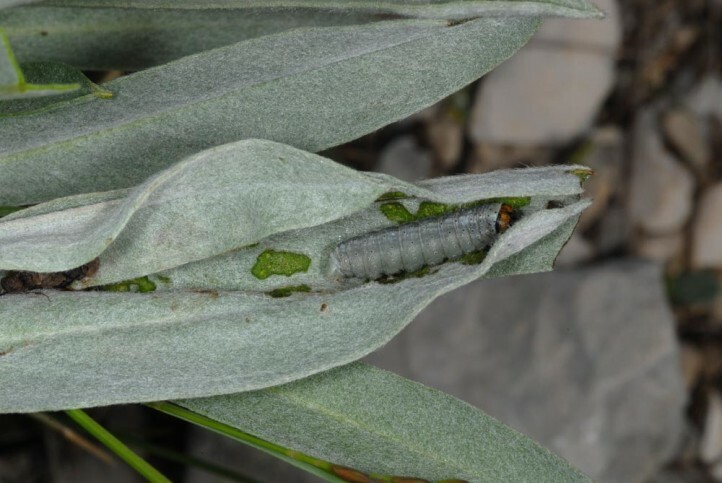 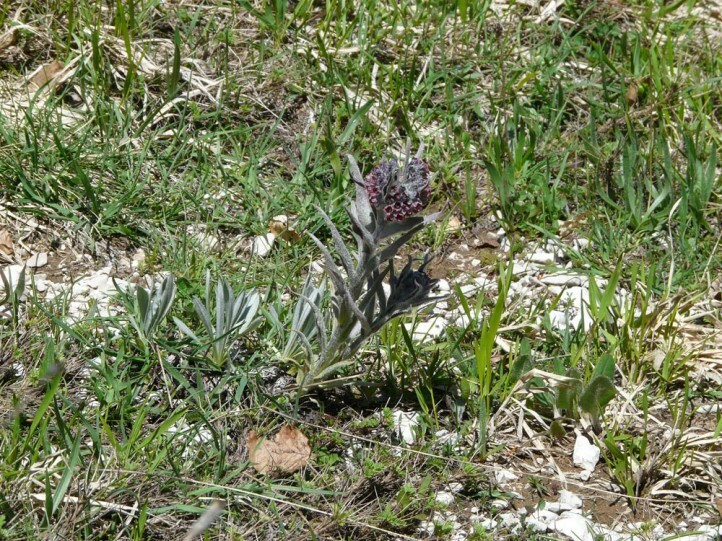 The larva feeds on Cynoglossum magallense (Boraginaceae). 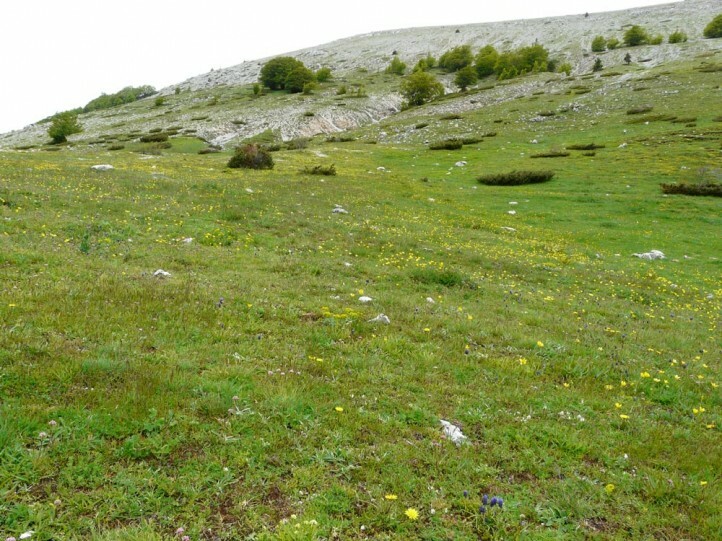 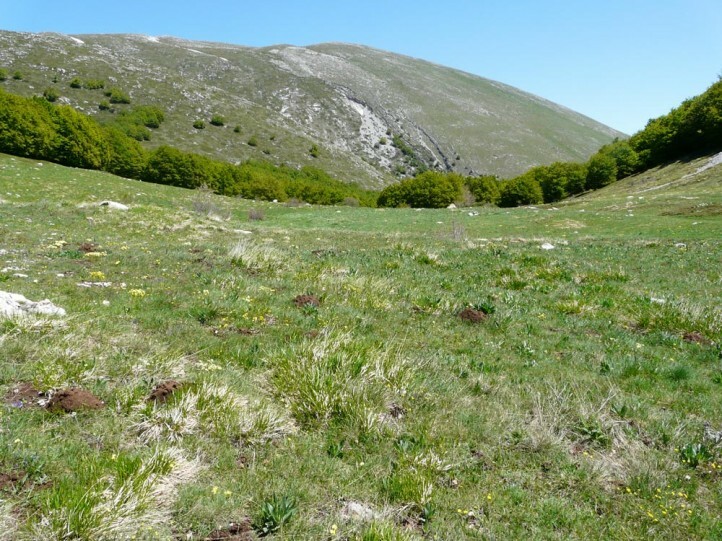 Euchalcia italica inhabits especially sunny, partial scarcely vegetated mountain slopes and pastures between 1400 and 2400m asl. 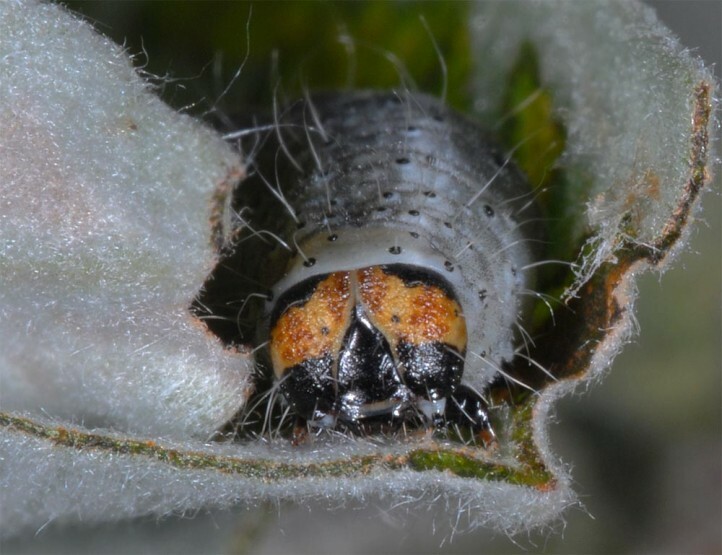 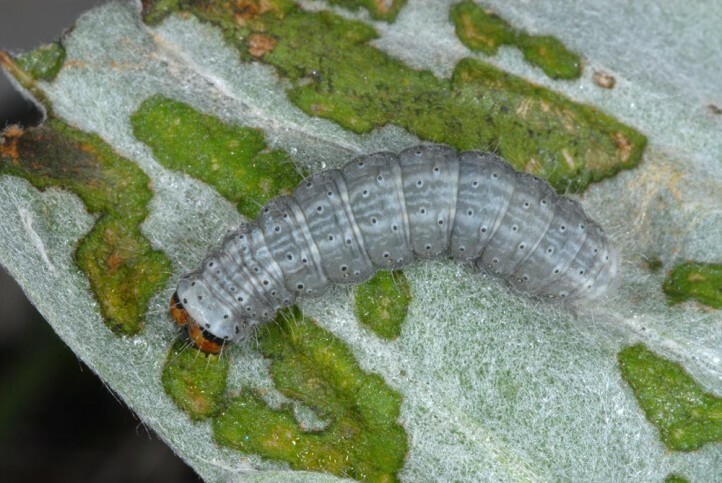 I observed a few larvae also in woodland edges and on the edge of more humid forb communities. 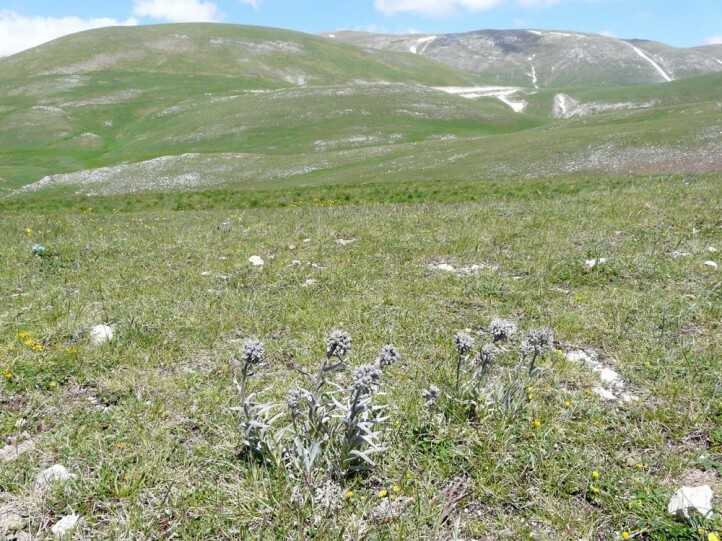 But high concentrations were only reached at drier places with low growing environment. 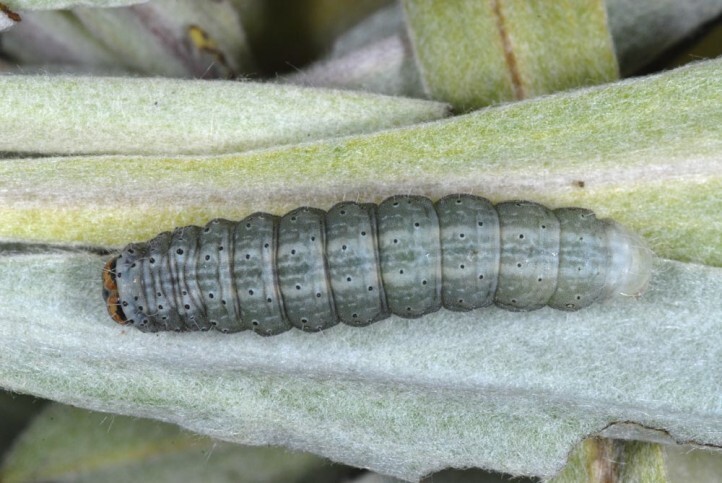 The caterpillar grows in the spring between late April and June. 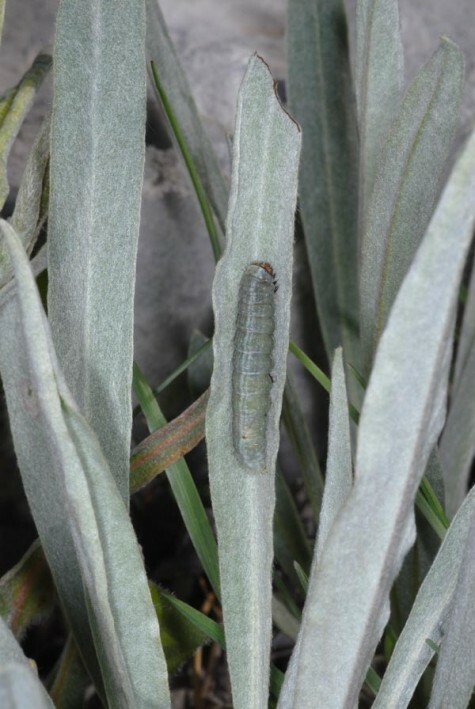 I observed over 100 larvae in mid-May 2013 (L'Aquila). 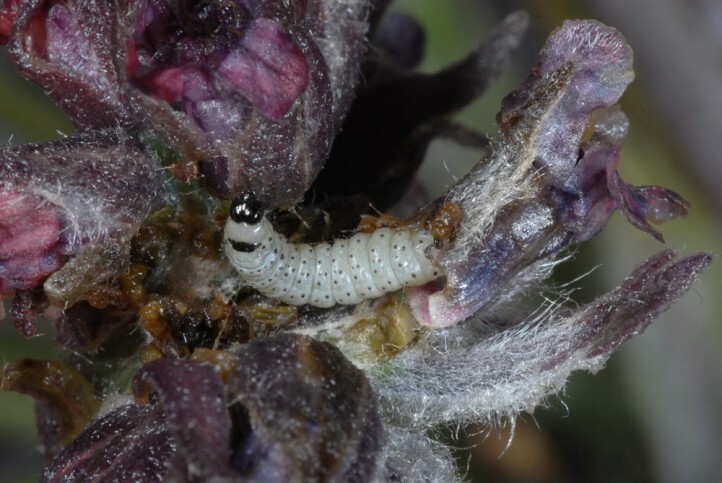 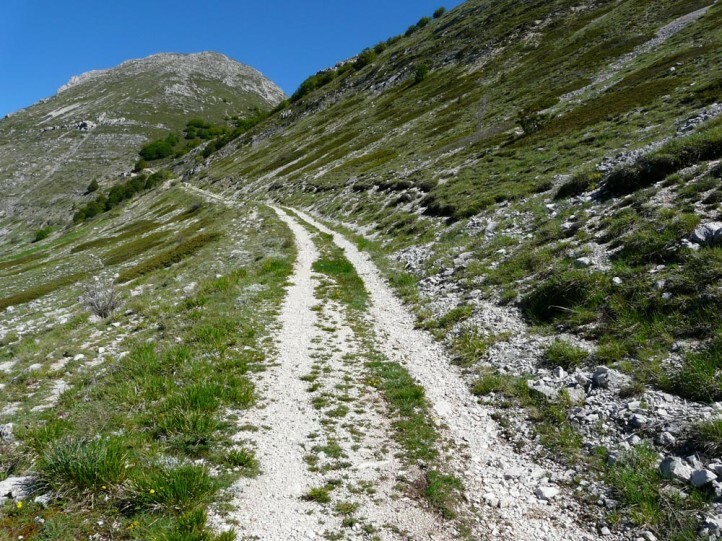 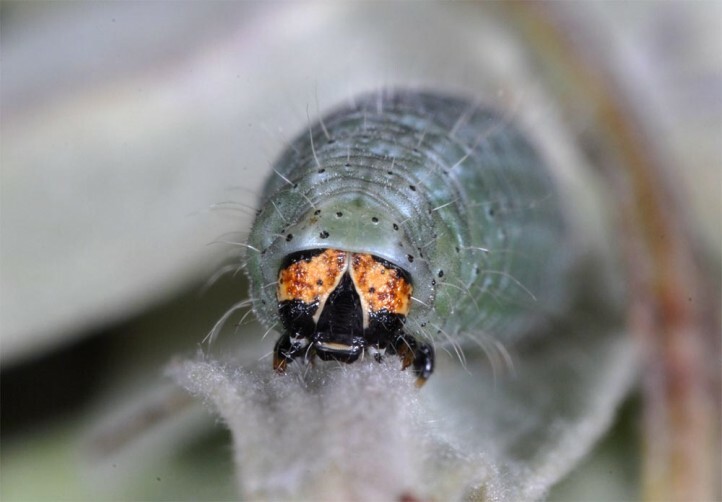 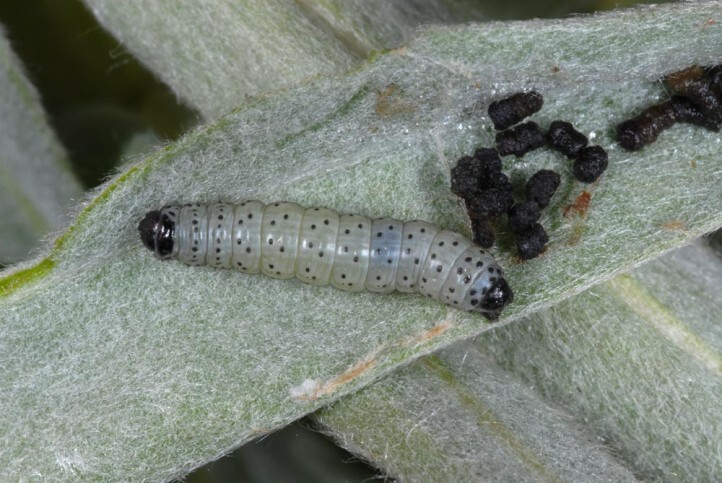 At lower altitudes (1500m asl) already fully-grown individuals occurred, whereas the larvae were still very small at higher altitudes (2000m asl). 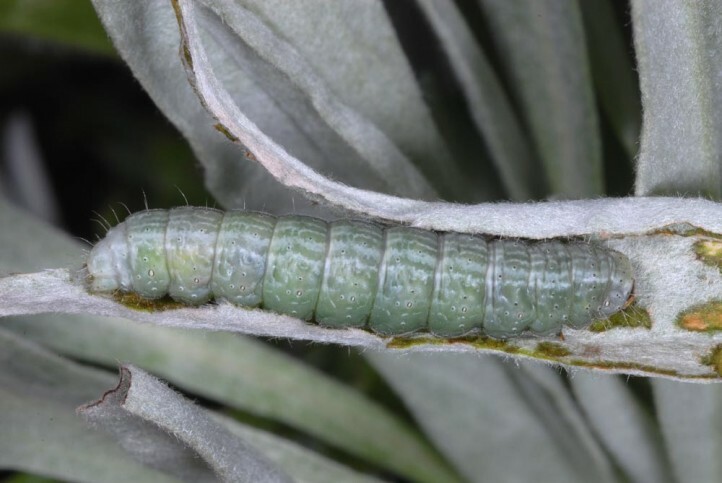 The young larva lives in most cases spun in between the flower buds of the developing shoots. 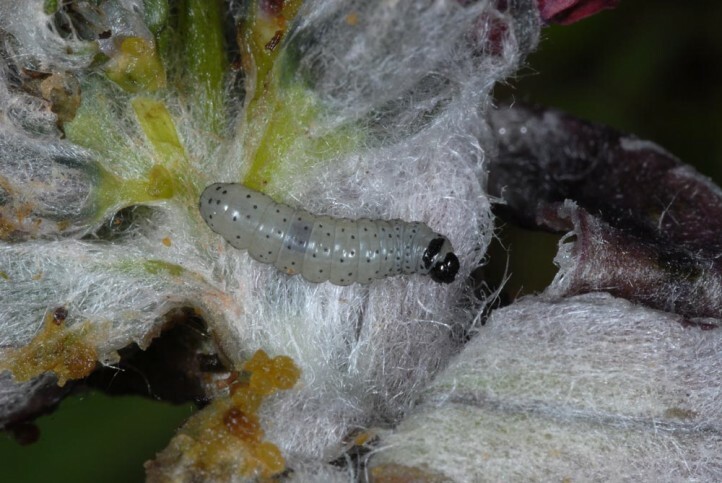 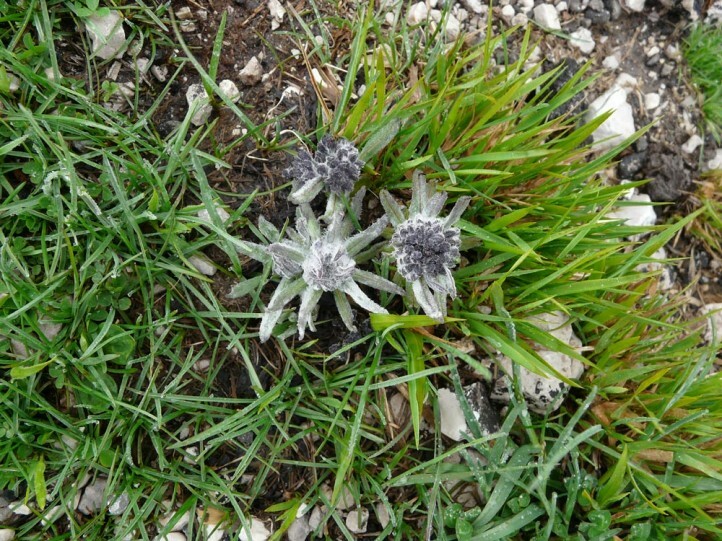 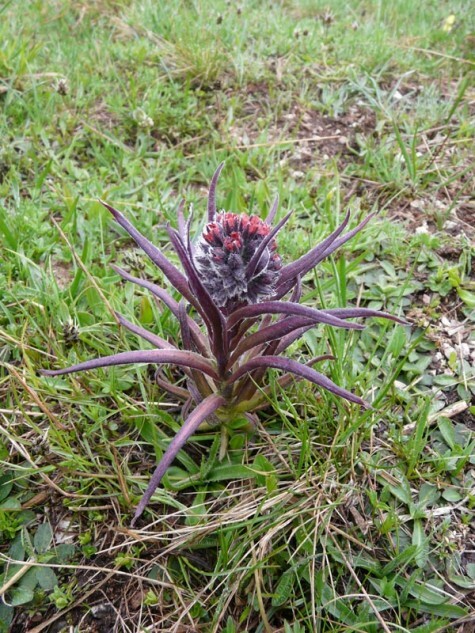 Only if the plant develops no flowers, even the young larvae are already found at the leaves. 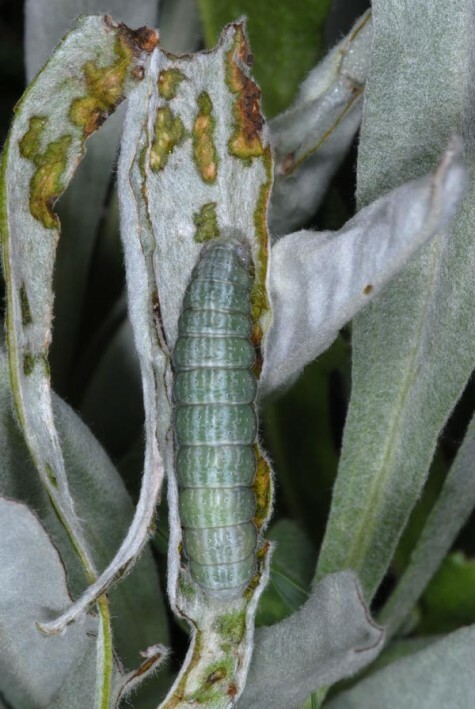 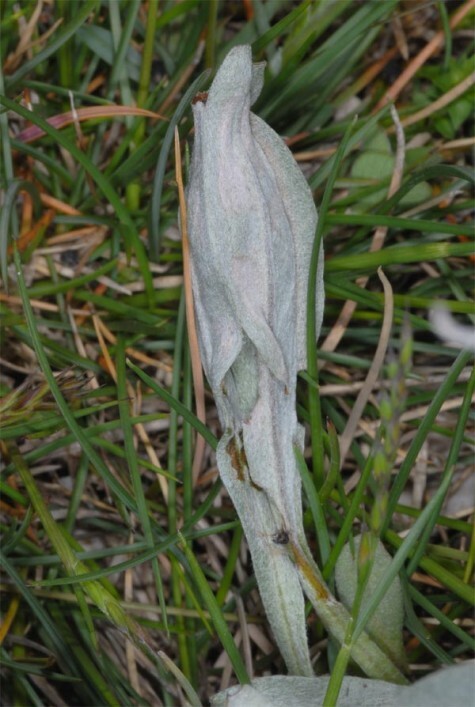 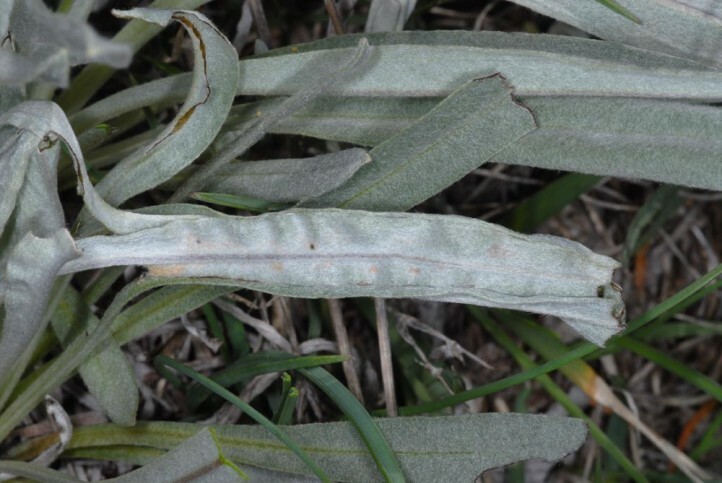 The older caterpillars live always at the basal leaves of mostly non flowering shoots which they spin to a tube. 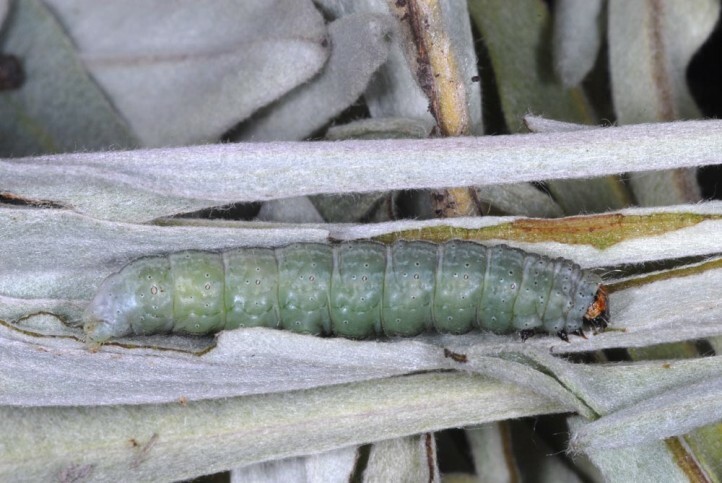 The tube is generally constructed out of several neighbouring leaves on which the larva also feeds from the top. 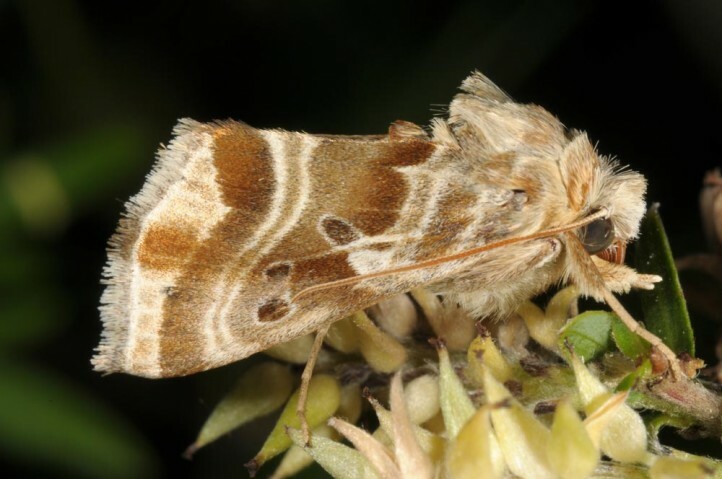 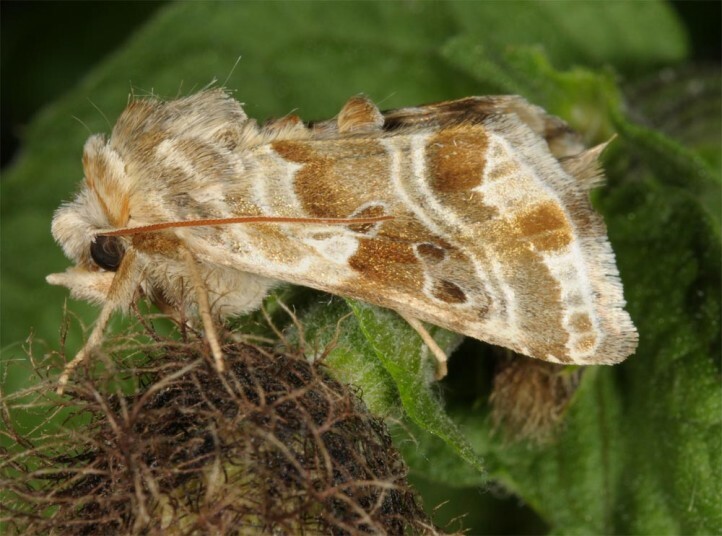 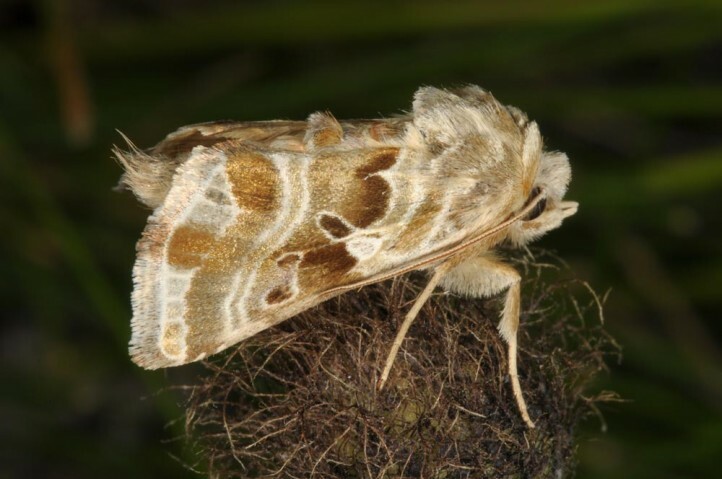 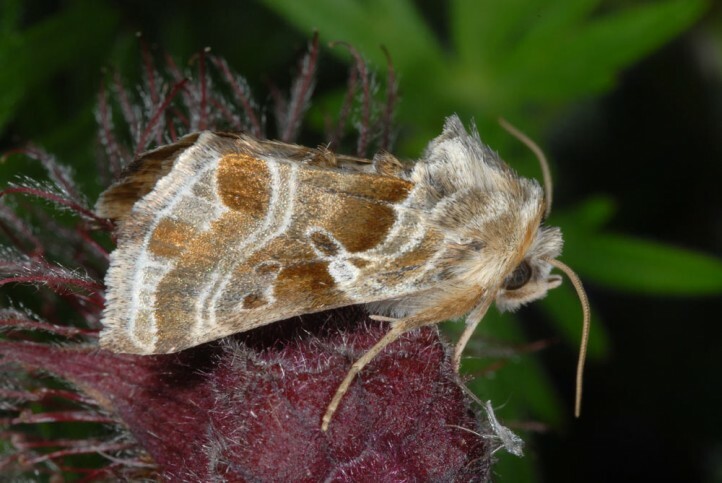 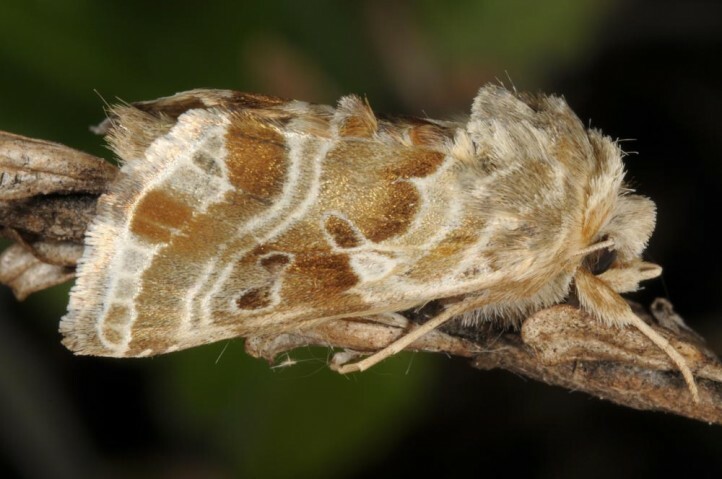 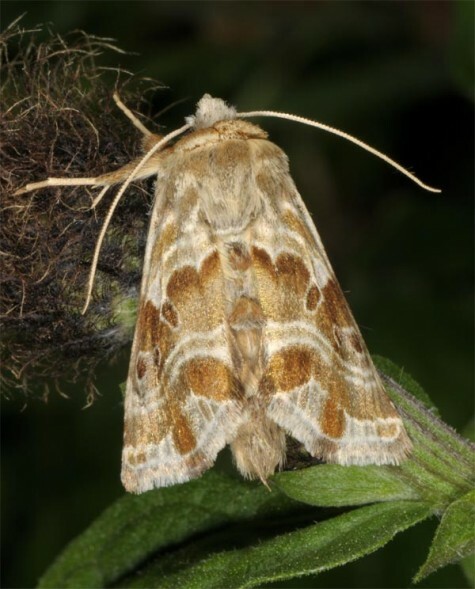 The moths appear between June and early August. 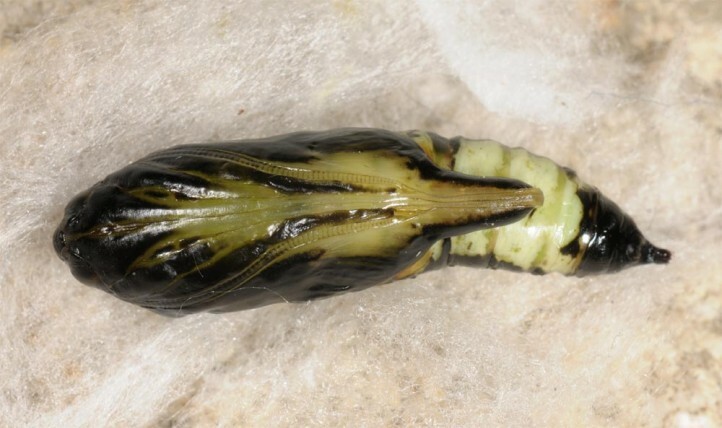 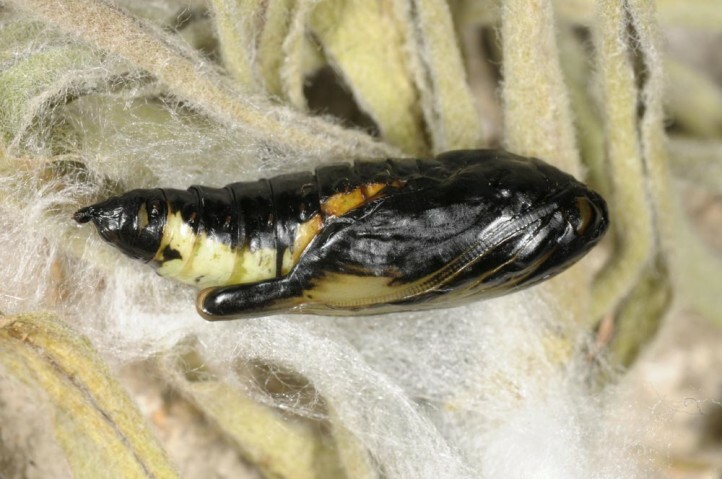 The hibernation stage is probably the L1-larva in a cocoon as it is the case with related species. 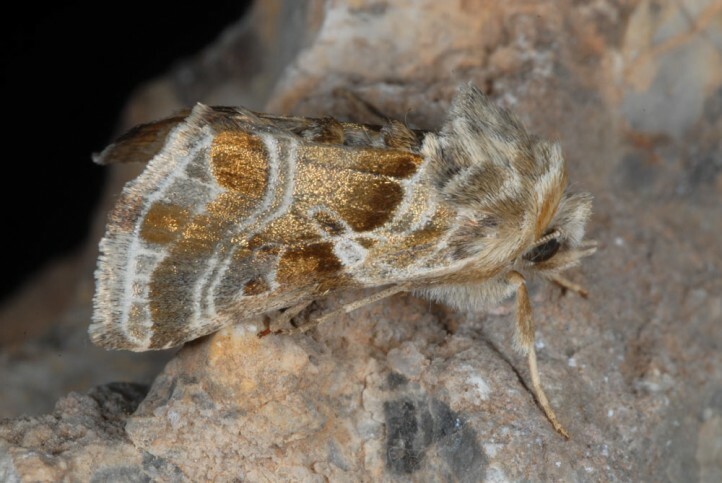 Euchalcia italica is according to own observations quite widespread in higher elevations. 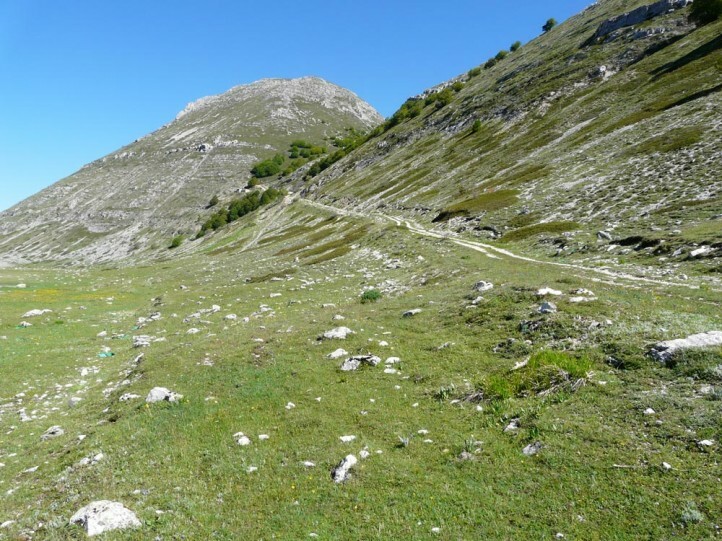 Intensive ski tourism is a major threat especially outside the nature reserves. 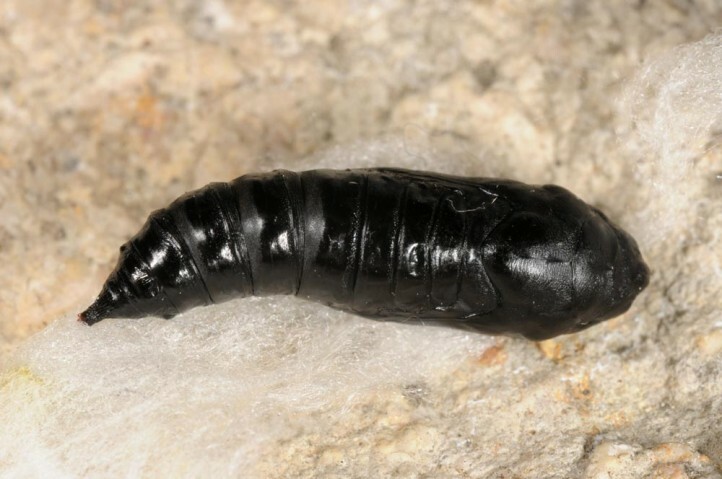 Euchalcia italica is endemic to the Abbruzzes in Central Italy. 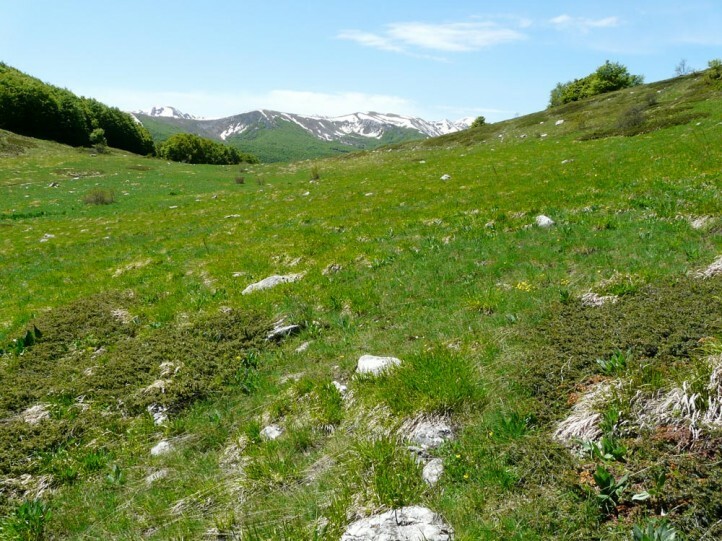 It occurs only in a small area (L'Aquila and adjacing provinces).